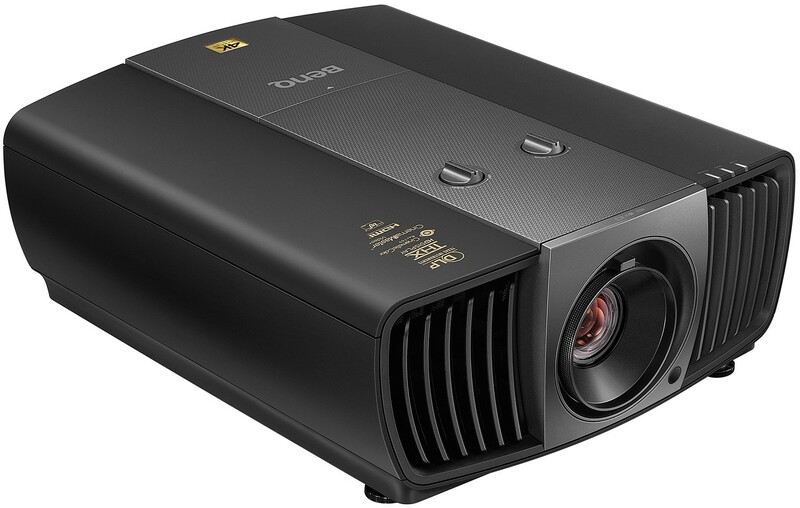 BenQ W11000 is the only THX Certified DLP 4K UHD home cinema projector with DLP picture quality to rival a commercial digital cinema in any home screening room. 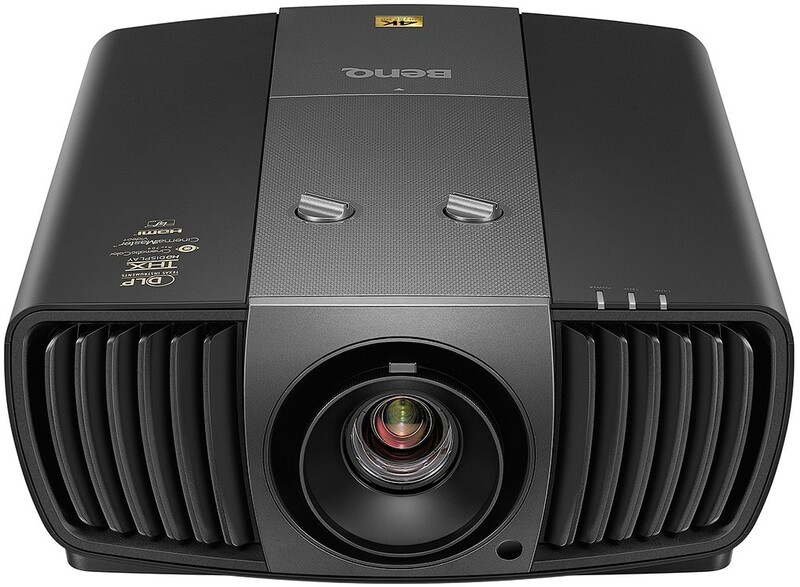 BenQ W11000, generates 8.3 million razor-sharp pixels and is the only THX Certified DLP 4K UHD home cinema projector with perfect DLP picture quality to rival a commercial digital cinema with seamless integration into any home screening room. With single DMD DLP technology to avoid inherent alignment issues of multiple panels, W11000 presents image integrity and accurate colour, especially important with ultrafine 4K pixels much smaller than 1080p pixels. W11000 generates razor-sharp images and accurate colours devoid of artifacting such as blur, shadowing, and interference patterns for immaculate clarity. With class-leading lens architecture, W11000’s optical engine is specifically designed for spectacular 4K image quality, offering True Zoom function and presenting the best viewing quality with flawless optics. Super-high resolution 14-element lens array is structured into six groups with metal barrel and cell framework, far outshining 1080p projector technology with greater light penetration for long-lasting 4K intensity with heart-stopping colour performance, clarity, and sharpness across the entire screen. BenQ 4K optical system uses only the highest grade glass for superior light penetration and realistic image quality. Proprietary low-dispersion lens coatings minimize chromatic aberration, so you can enjoy your favourite 4K UHD content in brilliant clarity. Reserved only for best-in-class audio and video systems, THX Certification guarantees equipment for accurate reproduction of content as the director originally intended. W11000 delivers Rec.709 colour accuracy, precise gamma, ideal colour temperature, enhanced uniformity, super high native contrast ratio, and THX Mode, pre-calibrated by THX engineers for the most accurate out-of-the-box picture quality possible, to recreate every single detail of the authentic content and image quality. 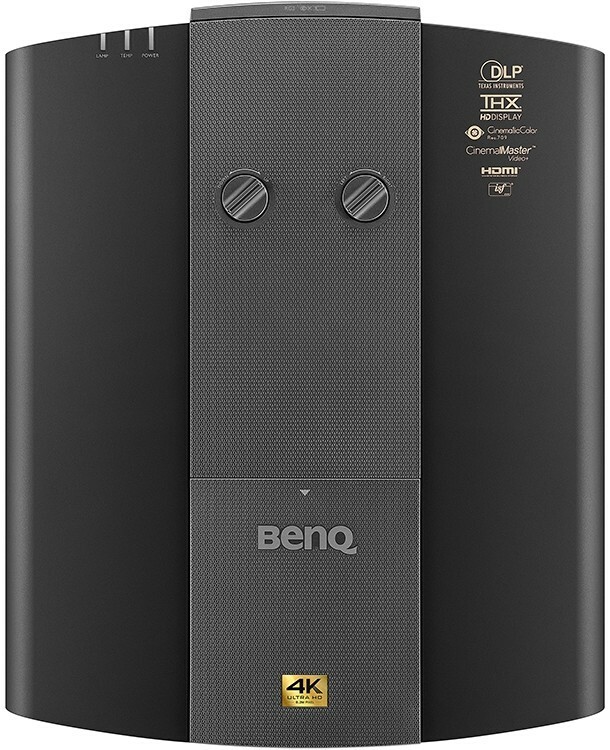 To earn this prestigious and exclusive distinction, BenQ engineers pursued over 18 months of rigorous development comprising 200 THX laboratory tests covering over 500 data points. This intensive development process involved 10 times as much data analysis and 7 times the engineering effort and resources in precise colour and gamma adjustments as required for pure Rec. 709 compliance, resulting in supreme overall image performance to pass 3 rounds of live testing at THX’s San Francisco headquarters. Rec. 709 is the international HDTV standard to guarantee accurate replica of cinematic colour as the director intended. With 6X Speed RGBRGB Colour Wheel, W11000 is calibrated for cinematic colour modeled on the HDTV standard, Rec. 709, to deliver refined colours that are the truest possible reproduction of the original palette of your video. Rec. 709 can reproduce colours correctly in all images through an entire movie. While most projector manufacturers choose a saturated colour tone bias to increase colourfulness, resulting in colour accuracy loss, W11000 achieves the Rec. 709 colour standard. The process of building a projector includes many variables such as lenses, lamps and colour wheel coating. To maximize colour accuracy, the process of software optimization involved adjusting the blacks, whites and greys towards D65 defined by Rec. 709. And the three primary and three secondary colours were adjusted one by one, until they were as close as possible to the references on the Rec. 709 colour gamut. Three colour adjustment stations in the production line perform final checks on every single unit of Rec. 709 projectors. 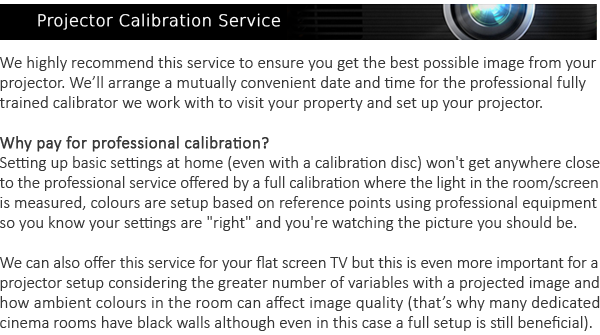 Using exclusive BenQ colour adjustment procedures, BenQ make sure each projector is manufactured according to the Rec. 709 colour standard, and BenQ quality engineers perform final colour tests on each projector built to ensure Rec. 709 performance. As one of the most important characteristics that determine the picture quality performance, native ANSI measures the ability of projectors to produce extreme levels of brightness and darkness. Generating industry-leading levels of high native ANSI contrast ratio performance, W11000 produces clearly deep, true blacks and resolves subtle layers and fine details in dark and bright scenes without washout. Active iris controls the amount of light passing through the optical system to optimize contrast performance according to the scene. Dynamic Black technology analyzes the brightness levels of the scene to ideally adjust light output and contrast. Working to bring out subtle details in dark shadows and preventing bright scenes from becoming washed out, W11000 delivers impressive contrast for true black rendition and amazing picture depth, details, and clarity. W11000 maintains accurate gamma correction to deliver the perfect brightness balance for fine details and shading, with smooth greyscale performance to prevent overexposed bright scenes and preserve every subtlety in dark areas. W11000 strictly adheres to ideal colour temperatures to ensure true-to-life, cinematically accurate colours throughout every scene of any film. BenQ’s pioneering Total Inner Reflection (TIR) optical system utilizes multiple prisms forming precise beam angles, dispersing light to reflect more uniformly from the Digital Micromirror Device (DMD) and register beautifully even colour, brightness, and fidelity across the entire projected image. The result is pristine image quality without blemish across the entire big screen, with nothing to distract the audience from flawless cinema enjoyment. An ingenious solution that intensifies your viewing pleasure while saving energy, SmartEco automatically adjusts lamp brightness based on content to project richer blacks and increase contrast for tiny text and subtle details. CinemaMaster turns any room into a world-class home theater with video-enhancing technologies sure to please even the most critical movie enthusiasts. 4K Pixel Enhancer is a motion-adaptive edge enhancement feature that detects changes in colour between an object and its background to produce sharp edges and precise surface textures. Colour Enhancer modulates complex colour algorithms to flawlessly render saturated colours, fine gradients, intermediate hues and subtle pigments. The Flesh Tone feature prevents discolouration of skin tones from the light of the projection beam, portraying every skin tone in its most beautiful shade. Sophisticated algorithms significantly improve colour and light output when producing images with contrasting colours or bright and dark scales. DCTI heightens colour vibrancy for drastic colour transitions without noise interference. DLTI reduces noise from fast switching of varied luminances to optimized brightness and contrast. The result is picture quality with the utmost picture depth and colour performance. With anamorphic 2.35:1 cinema-wide format support, W11000 provides a truly immersive movie-going experience with expansive viewing angles befitting its grand cinematic performance. W11000 offers ultra-wide 2.35:1 aspect ratio with native support for Panamorph anamorphic lenses enabling full-pixel cinemascope experiences, exactly as would be seen in a commercial digital cinema. W11000 is capable of filling an ultra-wide cinematic 2.35:1 screen by utilizing an optional anamorphic lens, for authentic digital cinema immersion in the original film format without distracting letterbox bars. W11000 opens a wider viewing angle to allow comfortable viewing seated close to the screen and to maximize the useable screen size within a given space, with a 55° viewing angle at 1.5X PH (picture height) for a 16:9 screen and a 48° viewing angle at 2X PH for a 2.35:1 screen. The ultra-detailed 4K UHD picture quality on a grand scale delivers a mesmerizingly immersive movie watching experience. W11000 is styled with a thoroughly modern design to complement upscale home cinema, blending seamlessly into existing aesthetics without any need for renovation. W11000’s front-facing ventilation and sleek, simple design is suitable for subtle ceiling-mount, hidden, cabinet, or wall inset installations. The minimalist design blends into any existing interior design and creates flexible installation opportunities. Fitting perfectly into home cinemas and installation sites of any size, W11000 offers powerful, yet user-friendly adjustment tools for professional installations with ease. 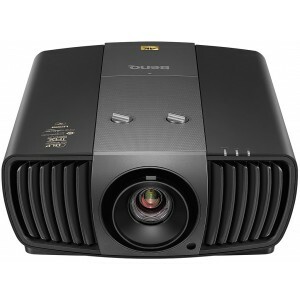 W11000’s lens can be shifted vertically or horizontally within the projector for a dynamic range of projection locations. The projected image can be moved up/down or left/right without sacrificing image quality for a custom installation in any room. Digital Light Processing (DLP), awarded 2015 Academy Award of Merit (Oscar statuette), is the leading projection technology used in 90% of world’s digital cinemas and 100% of IMAX theaters. With DLP dominating the worldwide projector market with over 50% share, BenQ is today the No.1 bestselling DLP projector brand, delivering unmatched world-class performance. The incredibly durable micro-mirrors of the DLP chip and the nearly-sealed DLP engine design mean that BenQ DLP Projectors stand the test of time without any loss in picture quality. Eliminating dust buildup and heat damage, BenQ projectors shine year after year and look as good as new with a simple lamp change. Critically acclaimed for industry-leading high contrast, BenQ DLP Projectors also produce the most crisply defined sharpness for crystal-clear details and legible text by maximizing the fill ratio of individual pixels.